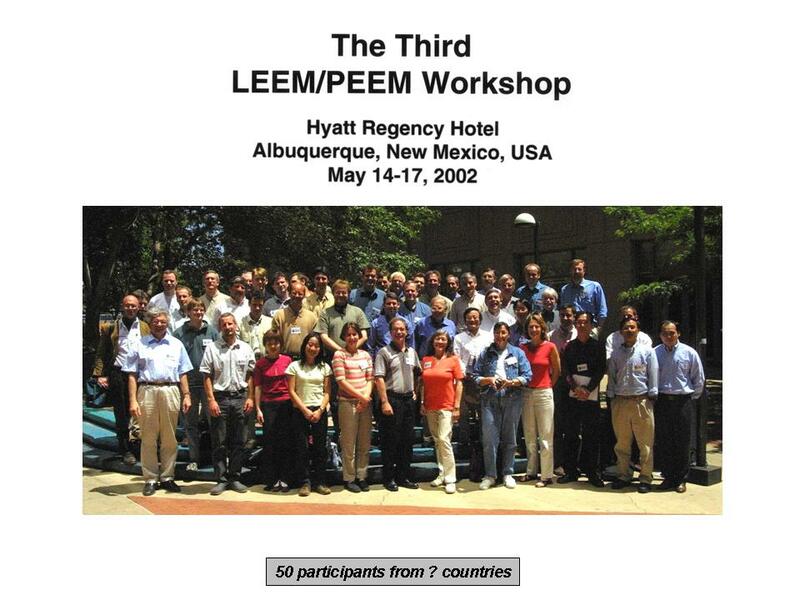 The 10th LEEM/PEEM workshop was organized by Lawrence Berkeley National Lab. It was held at Portola Hotel & Spa in Monterey, California, USA on September 11-15, 2016. The main scientific program featured contributed talks and presentations by several distinguished Guest Lecturers, as well as two poster sessions. This was preceded by a special LEEM/PEEM Tutorial session, intended to provide a rich experience for researchers new to the field, offering an opportunity to learn from the Tutorial Instructors, all who are leading experts in the field. The LEEM/PEEM-10 Workshop Proceedings were published in a special issue of Ultramicroscopy. Topics covered during the workshop. The Event Coordinator was Andreas Schmid and Andreas Scholl at LBNL. The 9th LEEM/PEEM workshop was organized by Forschungszentrum Jülich. It was held at Best Western Plus Hotel Steglitz International in Berlin, Germany on August 14-18, 2015. The main scientific program featured contributed talks and presentations by several distinguished Guest Lecturers in single session format, as well as a poster session. This was preceded by a special LEEM/PEEM Tutorial session, intended to provide a unique experience for students and scientists new to the field, offering an opportunity to learn from the Tutorial Instructors, all who are leading experts in the field. The LEEM/PEEM-9 Workshop Proceedings were published in a special issue of Ultramicroscopy. Topics covered during the workshop included surfaces, thin films, organic films, surface chemistry, magnetism, time resolved methods, instrumental advances, and novel applications of LEEM and PEEM in other subject areas. The Event Coordinator was Claus M. Schneider. The 8th LEEM/PEEM workshop was organized by the Department of Physics, Hong Kong University of Science & Technology. It was held at the Regal Kowloon Hotel in Hong Kong from 11-15 November, 2015 and chaired by Michael Altman. The LEEM/PEEM-8 Workshop Proceedings were published in a special issue of Ultramicroscopy. 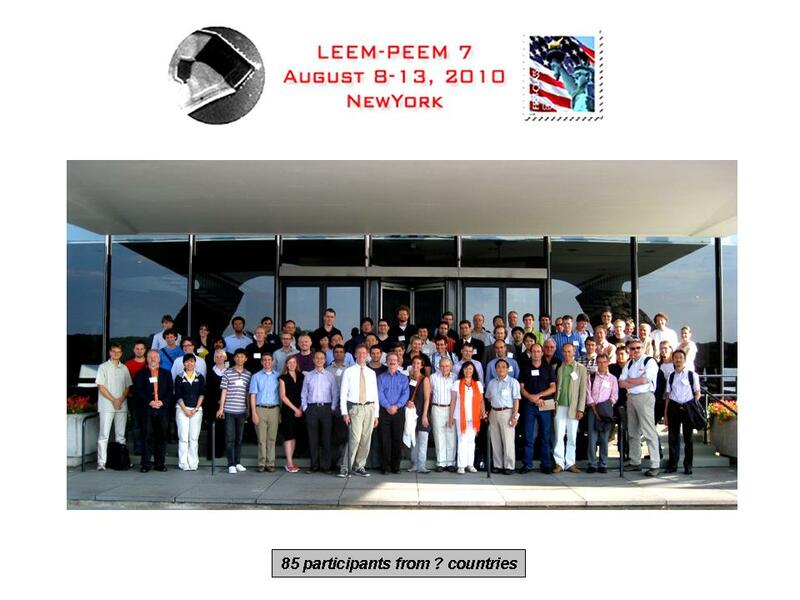 The 7th LEEM-PEEM workshop was organized by the IBM T.J. Watson Research Center and the Center for Functional Nanomaterials, Brookhaven National Laboratory, U.S.A. It was held at the Grand Hyatt Hotel New York on August 8-13, 2010 and chaired by Rudolf Tromp and James Hannon. The workshop was attended by 85 participants. The LEEMPEEM7 workshop proceedings were published in the IBM Journal of Research and Development, in a special issue on Cathode Lens Microscopy for Nanoscience. C. Oshima, Single Atom Electron Sources. P. First, STM Studies of Graphene Thin Films. E. Rotenberg, Plans for a 50 nm spatial-resolution ARPES beamline at the Advanced Light Source. M.S. Altman, Low Energy Electron Microscopy. A. Scholl, Photoemission Electron Microscopy. IBM Journal of Research and Development, Volume 55, Number 4, art. no. 1-15, July/August 2011. The 6th LEEM-PEEM workshop was organized by the Synchrotron Light Laboratory Elettra, Trieste, Italy. It was held at the Stazione Marittima Congress Centre on September 7-11, 2008 and was chaired by Andrea Locatelli and Maya Kiskinova. The workshop was attended by 130 participants from 19 countries and attracted 12 companies as exhibitors. The LEEMPEEM6 workshop proceedings appeared as a festschrift in honor of Professor Ernst Bauer in the Journal of Physics: Condensed Matter (Volume 21, Number 31, August 5, 2009). R. Schlögl, High-pressure Photoemission in Catalysis: Still new insights in well-studied systems? E. Krasovskii, Band structure theory of very low energy electron diffraction and final state effects in photoemission. C. Carbone, Coordination effects in magnetic nanostructures. A. R. Faruqi, Principles and prospects of direct high resolution electron image acquisition with CMOS detectors at low energies. D. Schlom, Ferroelectric, ferromagnetic, and multiferroic oxide thin films: Basic physics, emerging applications, and their growth by MBE. 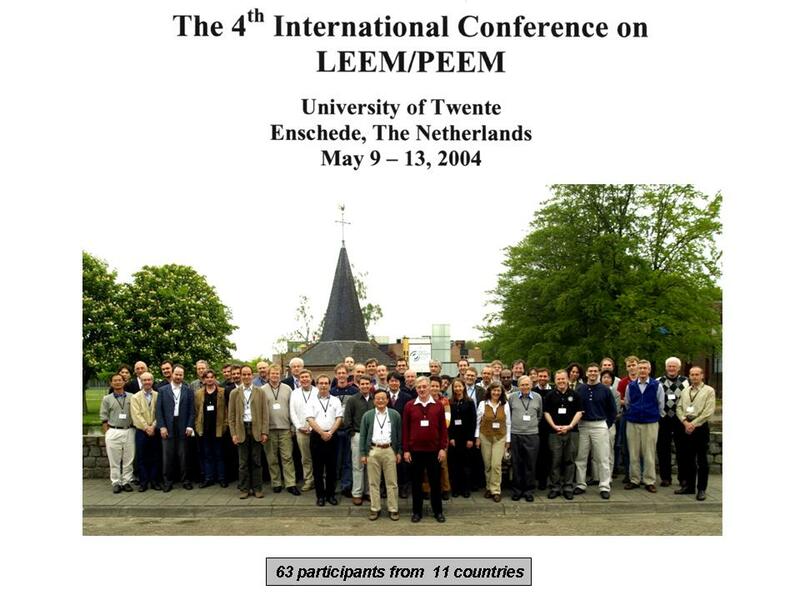 E. Bauer, Past and future of LEEM and PEEM. article no. 310301-315005, 5 August 2009. 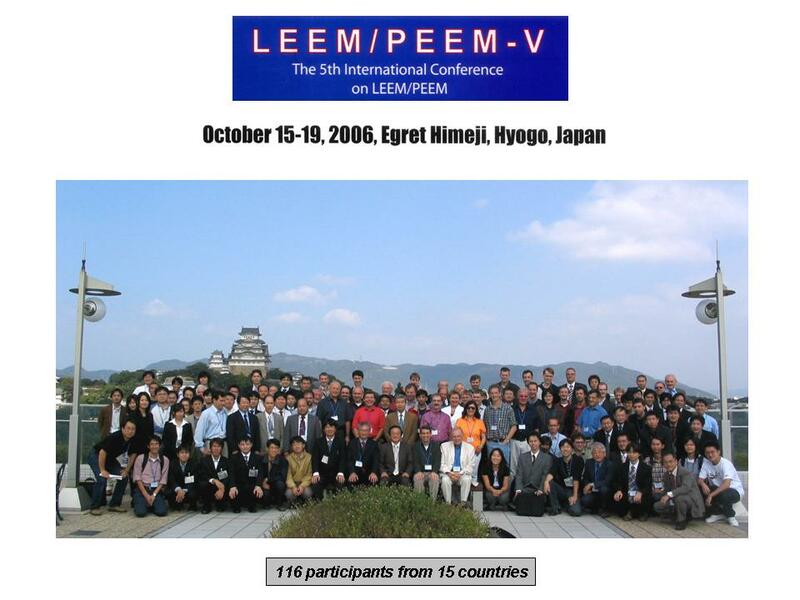 The conference was held at the Egret Himeji in Himeji, Japan on October 15-19, 2006 and hosted jointly by the Japan Society of Applied Physics and SPring-8. The conference was chaired by Takanori Koshikawa and was attended by a large audience of more than 120 scientists working in LEEM/PEEM and related fields. 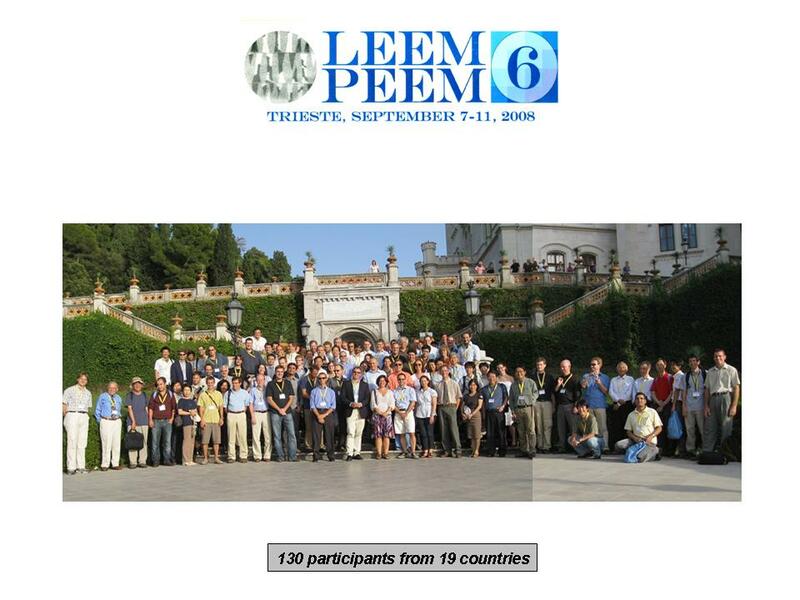 The LEEMPEEM5 conference proceedings were published in a special issue of Surface Science (Volume: 601, Issue: 20, October 15, 2007). A. Tonomura, Quantum phenomena visualized by electron waves. M. Aono, Exploring Novel Capabilities of the Scanning Tunnelling Microscope. H.J. Freund, Model Systems in Heterogeneous Catalysis: An Atomic View. P. Fisher, Exploring nanomagnetism with Soft X-ray Microscopy. T. Nakanishi, Highly Spin Polarized Cathode. H.C. Kapteyn, Application of Coherent High-Order Harmonic Emission in Time Resolved Imaging and Photoemission. Surface Science, volume 601, number 20, pp. 4663-4773, 15 November 2007. The workshop was held at the University of Twente, The Netherlands on May 10-13, 2004. It was hosted by the Solid State Physics group of Bene Poelsema and was attended by 63 scientists. The proceedings of the workshop were published in a special issue of the Journal of Physics: Condensed Matter (Vol. 17, 2005). A. Kahn, Electron Energetics of Organic Surfaces and Interfaces. J.W.M. Frenken, Can SPM Become as Fast as LEEM? P. Varga, Local Structures on Metal Surfaces Studied on the Atomic Scale by STM. D. von der Linde, Structural Dynamics probed by Femtosecond Time-Resolved Diffraction. M. Lenzen, The Use of Aberration Corrected PEEM by means of Moving Focus Method. Journal of Physics: Condensed Matter, volume 17, number 16, pp. S1305-S1426, 27 April 2005. The workshop was held in Albuquerque, New Mexico, U.S.A. on May 14-17, 2002 and organized by Gary Kellogg, Sandia National Laboratories. Over 50 researchers attended the workshop. The proceedings of the third LEEM/PEEM workshop were published in a special issue of the Journal of Vacuum Science & Technology B (Vol. 20, No. 6). R. Imbihl, Catalytic Surface Reactions studied with PEEM, SPEM and LEEM. B.L. Doyle, Ion Induced Electron Emission Microscopy (IEEM). P.E. Batson, New Developments in Electron Optics for Electron Microscopy. H.P. Oepen, The Scanning Electron Microscopy with Polarisation Analysis (SEMPA). F.J. Himpsel, Quantum Size Effects. Journal of Vacuum Science and Technology B, volume 20, number 6, pp. 2472-2550, Nov/Dec 2002. 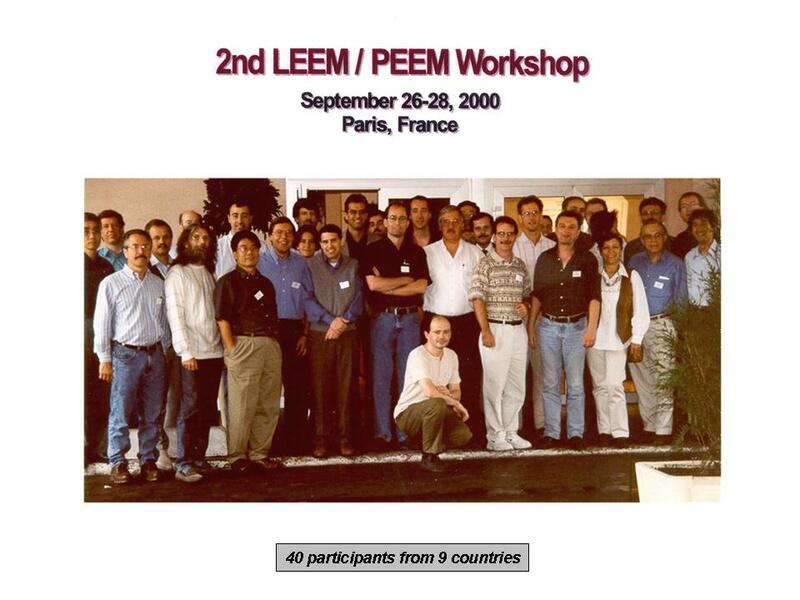 The workshop was held in Paris, France on September 26-28, 2000 and was organized by Hans-Joachim Ernst and L. Douillard of the Commissariat l’Energie Atomique (CEA) in Saclay, France. The number of participants was 40. The proceedings of the second LEEM/PEEM workshop were published in a special issue of Surface Science (Vol. 480, No. 3). Y. Homma, Surface Imaging by Ultrahigh Vacuum Scanning electron Microscopy. M. Horn-von Hoegen, Low Energy Electron Diffraction. M. Kiskinova, X-ray Scanning Electron Microscopy: Recent Developments and Applications. J. Osterwalder, Photoelectron Diffraction and Band Structure Mapping. R. Wiesendanger, Scanning Tunelling Microscopy (STM) and Spin Resolved STM. K. Yagi, Imaging Surfaces by Reflection Electron Microscopy. Surface Science, volume 480, number 3, pp. 97-218, 1 June 2001. 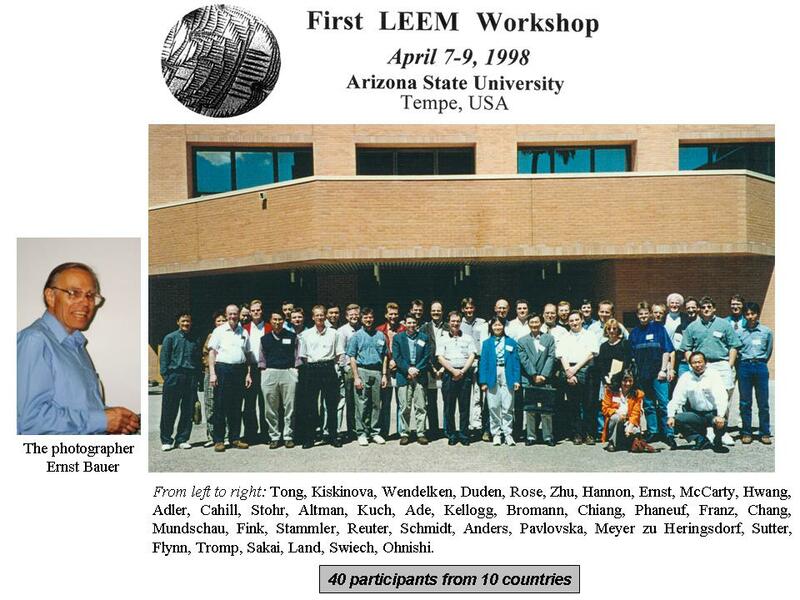 The First LEEM Workshop was held in Tempe, Arizona, U.S.A. on April 7-9, 1998 and was organized by Ernst Bauer and Anastassia Pavlovska, Arizona State University. 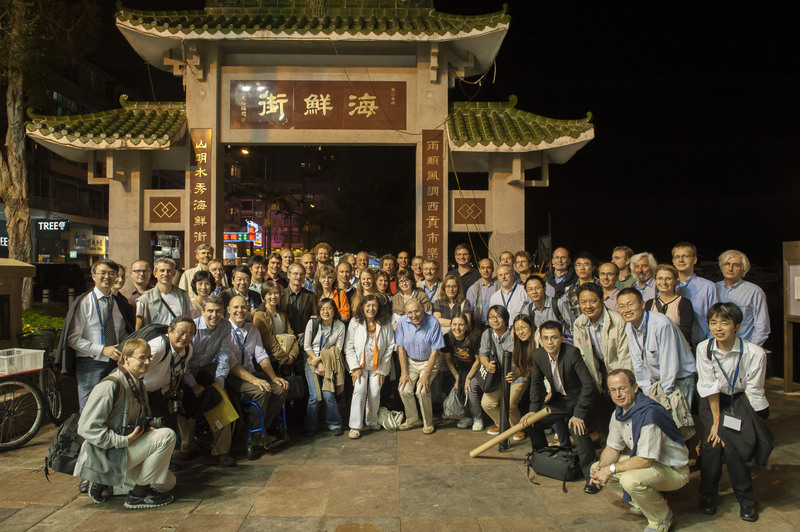 It attracted 40 researchers from 8 countries. Twenty invited speakers gave talks. The proceedings of the first LEEM Workshop were published in a special issue of Surface Review and Letters (Vol. 5, No. 6). Surface Review and Letters, volume 5, number 6, pp. 1129-1326, December 1998.